Corning is developing glass that can be repeatedly folded, and reports that it is on track to manufacture it in quantity in a couple of years when foldable phones are in the mainstream. While Apple has not commented on its plans for foldable phones, the company has used Corning since the very first iPhone. 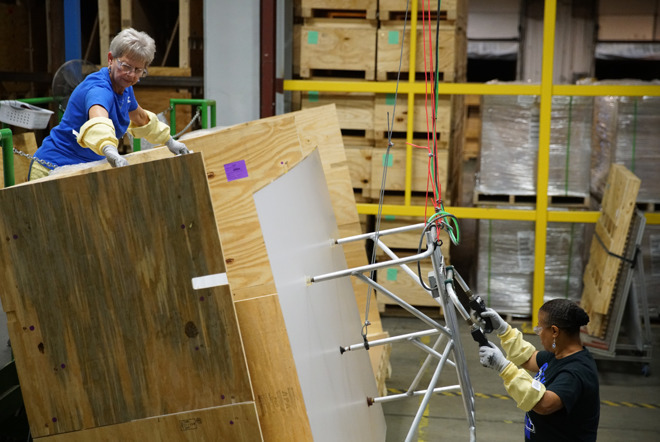 "We have glasses we've sampled to customers, and they're functional, but they're not quite meeting all the requirements," says John Bayne, senior vice president and general manager, Corning in Wired. "People either want better performance against a drop event or a tighter bend radius. We can give them one or the other; the key is to give them both." The company is currently using glass that is 0.1mm thick and can be bent to a 5mm radius. "The back of the problem we're trying to break, the technical challenge is, can you keep those tight 3- to 5-millimeter bend radii and also increase the damage resistance of the glass," says Bayne. "That's the trajectory we're on." Wired also spoke to Professor John Mauro, now at Penn State University, and previously an employee of Corning. He said that current foldable phones use plastic polymer because glass isn't ready yet. "The polymer is better at flexibility, it's easier to bend at the same thickness," Mauro said. "The molecules can rearrange themselves more easily in response to stress, whereas the glass has a more rigid structure." Mauro says Corning may be being conservative in its estimate of how long it will take to produce suitable glass. Apple did attempt to move away from Corning Glass in 2014 when it pursued sapphire glass with GT Technologies. However, that deal failed and left GT Technologies bankrupt. Currently Apple does use sapphire glass in certain Apple Watch screens plus Touch ID fingerprint sensors, and the protective cover on the iPhone's rear-facing cameras. Current foldables from Samsung and Huawei use plastic polymers that bend well, but are not as hardwearing as glass. Current gimmickiness is no guide to future usefulness. It all depends on usage and on the added value one gets. Currently, I agree, the value proposition isn't there, but I can see how it could be useful to have both an iPad and an iPhone in one device. I agree with your first sentence but am at a loss to see the advantage of an iPhone and an iPad in one device. That sounds straight out of a Microsoft think tank, not Apple. Nope. No thanks. No one wants it. No one asked for it. But it that doesn’t seem to matter to Apple these days, so we’ll probably see these gimmicks from them too. I could see a two piece glass folding phone where the two pieces open to touch without a bezel between them to give a larger screen in a smaller footprint. This would alleviate the issues with trying develop adequate folding glass or using plastic and still allow for the benefits of a folding screen. I see a razor type phone (different dimensions obviously) opening to form a combined large screen that via software operates as one. BTW I'm not talking about a combined phone/iPad but a larger phone in smaller footprint. The article makes no mention of ‘scratches’. This is the big problem with making glass flexible. 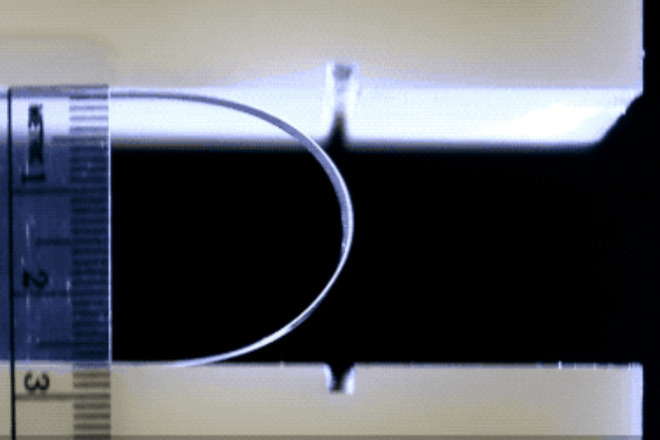 If it is soft enough to bend to a tight radius it will scratch far more easily than the screens we currently have. Apple periodically does silly things (for instance the volume control in the early QuickTime players for macOS was ridiculous! ), but overall I see little change in how they do things ‘these days’. It is extremely unlikely Apple will come out with a foldable device without having a good and elegant use for it. I can’t imagine what that use would be, but I expect Apple has been thinking about it for years (and we can be thankful they haven’t jumped on the plastic screen bandwagon just to get something out!). While I tend to agree at the moment, before Apple came out with iPhone, no one really envisioned a fully functional computer in the form and size of a small phone. If Apple does come out with one I'm hoping they have figured out the advantage and we'll see it clear as day. Especially the Huawei model. Plastic screen on the outside? What brain thought that was a good idea? Scratch City. Does that mean you would have to keep Huawei's phone with its external screen in a folio type case to keep the screen from being scratched while in your pocket? That would be a serious drawback to an otherwise excellent design. But the big question for foldable phones is: "Will flexible glass scratch more or less easily than flexible plastic? Maybe watch some more science fiction? WESTWORLD in particular demonstrates a good, elegant, practical use for such technology. i really don’t get all these comments about how nobody understands how this could be used, or “nobody wants it”, “nobody needs it”. It’s really self-evident. Apple should have bought this company years ago. I guess they didn't expect everyone to copy iPhone either. “People either want better performance against a drop event or a tighter bend radius. We can give them one or the other; the key is to give them both." Bendable and foldable are two different things. 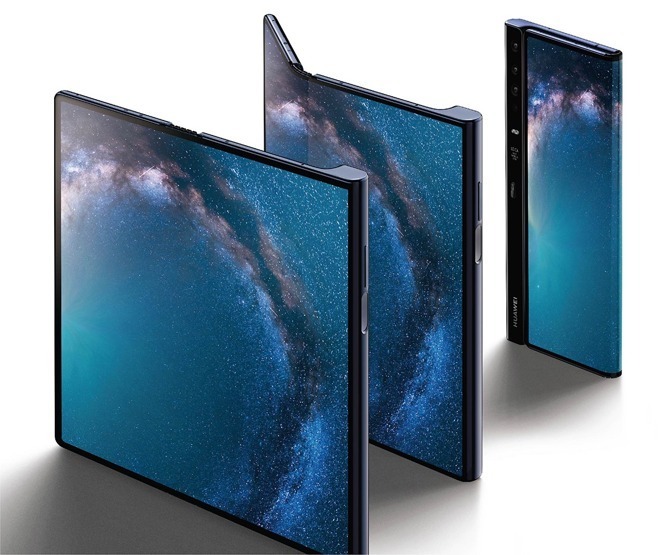 A truly foldable phone using a rigid substrate like glass just seems impossible, unless as 80s_Apple_Guy mentioned above, and I mentioned here a couple days ago on the Samsung sourcing screens article, Apple uses two separate displays with a special hinge that allows the two displays to come together along one edge. But as I mentioned in my previous comment, this would require some complexity, because you couldn’t allow sand or any other obstruction between these two displays as they come together. And so that implies a retractable tab along each edge that sits against the edge when folded to prevent any grit from getting up against the display edge, but retracts at the last bit of unfolding motion, to allow the two displays to abut. That’s some serious precision in a mechanical apparatus, and suggests an overengineered solution. Meaning you’d rather just not create a folding device if that’s what’s necessary to do it. I don’t understand the comments on use case, and perceived value. If you tell me the concept is in Westworld, might I point out that you’re referencing a niche use case from a science fiction show that has nothing todo with real world usage. I wouldn't want what has been presented by some firms right now, but I would like something like the device from Westworld. Unrealistic for sure, but that one seems rather useful. The problem with glasses is glasses. Unless you already wear them I can imagine lots of people not wanting to use them for extended periods. Video friendliness is not really an issue at this point as we only have two major players with devices announced and the Mate X is larger than an iPhone X series phone - when folded. Plenty big for mobile video viewing. When unfolded there are obvious advantages and where screen ratio isn't an issue. Side by side screens etc. I think valid concerns are scratch resistance and hinge durability but the only way to truly tackle those issues is to put them in the real world so we need first generation phones out there. Concerns over size will be resolved: "Bricking" a phone came from the size and shape of my original cell phone -- it was the size & shape of a brick. And it wasn't even called a cell phone but a car phone -- because it was too big to carry outside of the car. And the concern over hinges is the same one I heard when communicator like flip-phones were released. As for scratches, materials -- both plastic and glass -- will improve. Foldables will be in our future because they solve the single biggest limitation of today's cell phones: screen size. With a foldable and, say, an A14 processor, 512Gb of storage you have an iPad mini sized computer in your pocket. I doubt they will completely replace the traditional single screen model (just as flip-phones didn't replace slab type phones), but they will be an option.